You can't pick your family - but you can still love them! Lola, Pierre and Benoit lost their parents a long time ago. 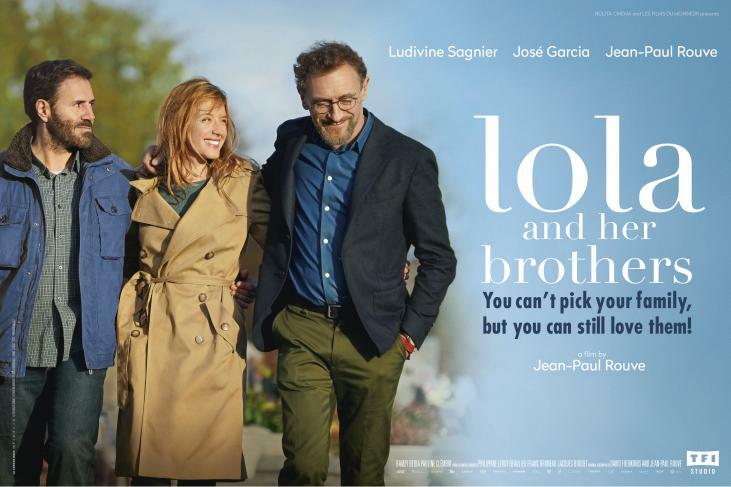 Family-wise, they’re all they’ve got.A 35-year-old lawyer, Lola is the youngest of the three and her big brothers may be very overprotective, but she’s actually like a mother to them. Especially when Pierre freaks out because he lost his job and pretends to everyone that he’s still employed. Or when paternity-shy Benoit bends over backward to accommodate his new bride Sarah, on having kids asap. And so, as Lola falls for Zoher, she’s reluctant to introduce him to her brothers. But maybe the time has come for Lola to enjoy a love life without interference, and settle down at last. Family rivalry, love, tears and laughter… how one ever-growing family navigates the ups and downs of life, with all its surprises! "Successful mix of laughter and emotion"
"A fresh, cheerful film that avoids clichés"
"A sincere, real, lovely film"
"Delectable dialogue. What a fine trio of actors!" "Lola and Her Brothers is magnificent - it captivates and moves you by exploring everyday feelings"
"A comedy just like we love them"
"The funny and moving everyday life of a family"
"A bittersweet comedy, lighthearted yet serious"
"A trio of impeccable actors, believable and full of humanity"
"This bittersweet film with a zest of poetry keeps all its promises"
"A lovely sentimental and moving comedy"
"You cry and laugh, just like in real life"
"When Jean-Paul Rouve gets behind the camera, he never disappoints"
"A sensitive family chronicle carried by lovely actors." 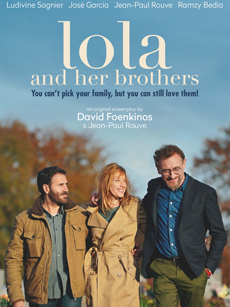 "A humble and friendly film"
"Lola and Her Brothers captivates through the flow of its story"
"Lola and Her Brothers is an elegantly orchestrated, admirable work." "This bright, sensitive comedy shows off its trio of actors"
"A shot of love and humour"